There are a number of jobs that can be made far easier with the assistance of an experienced and professional pressure washer. As anyone who has owned a concrete floor will know, getting it looking new can be a real challenge. With the growth of moss and other plant organisms, as well as stains from oil and other substances often very difficult to remove, professional pressure washing in Vancouver is the easiest way to do this. Driveways are another area that can quickly become dirty, with a mixture of substances almost certain to discolour and damage it. A pressure washer, however, can make your driveway look brand new in a matter of minutes. Tile patios look great when they are new but can quickly look aged without the correct treatment. Having a professional clean it through pressure washing in Vancouver is the easiest and most effective way of keeping it looking in great shape. Areas that experience a lot of use, such as walkways, are some of the best choices to have pressure washed. Within just a few minutes you can have them looking new and clean once again. Awnings are a great way of providing shade, while also advertising your company if you are a business. Cleaning them, however, can be a troublesome and time-consuming task. By using the services of pressure washing in Vancouver, you can remove the build-up of dirt and debris, which often occurs rapidly with awnings. 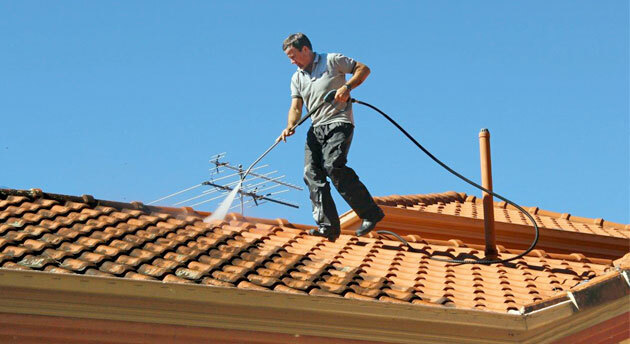 Keeping your roof clean is a top property maintenance tip, as otherwise it can lead to a number of problems. Having a company specializing in pressure washing in Vancouver clean it on a regular basis is a great idea and highly advised. As any business or company should know, if your signs look old and dirty this is not a good impression for your customers and clients. Ensuring that they are cleaned thoroughly is essential, with a pressure washer perfect for the task. Lastly, cleaning the exterior of your house is a great way to increase the curb appeal and value of your home. Look for an experienced company or contractor specializing in pressure washing service in Vancouver, to assure a thorough and effective job.